Benifuuki green tea has the most EGCG and EGCG3 “Me, it helps against allergies, hay fever, atopic dermatitis and improved metabolism, weight-loss green tea. What is Benifuuki (Benifuki) ? Benifuuki tea (Camellia sinensis L. cv. Benifuuki) is a special cultivar (cultivated variety) of Japanese Green Tea, which was introduced in the Japanese market by Japanese breeders only in 1993. The name translates directly in Japanese as “Red riches and honor” (べ に ふ う き). Due to its particular health effects improving allergies, hay fever and eczema demand has skyrocketed. This can be attributed to Benifuuki containing a unique high content of methylated catechins and the highest content of EGCG in all teas. The plant, developed in Makurazaki City, Kagoshima, in 1965, is a cross between the varieties Assamica and Sinensis, known as “Benihomare” and “Makura CD86”. It was not until much later then right seedling was selected and in 1993 was finally registered and introduced. The Makura CD86 (CD86 枕) tea plant is very special and originates in India’s most famous tea region – Darjeeling. Benihomare is a common Assamica-strain and found throughout India and Sri Lanka. Benifuuki shows a particularly high resistance to disease and can be grown using only very small quantities of pesticides. The initial purpose for the development of this tea was to use the specific health benefits of the more modest and more productive Assamica-variety in combination with the more significant and superior Sinensis variety. The Benifuki is therefore also called partly “Japanese Oolong”. Its flowers and leaves are larger than that of the Japanese widespread Yabukita tea bushes (Sinensis strain that accounts for more than ¾ of all teasplants in Japan) and have three stems. The tea is not shaded because the sunlight allows for a higher catechin content and is easily fermented. Currently it provides a 30% higher yield than the Yabukita tea plants. Benifuki has a clearly bitter and strong flavor. From a health perspective while the highest possible content of bitter substances is desired, the taste of tea but still should be balanced and harmonious. This is an important indicator of its effect. The extremely healthy effect of Green Tea is based primarily on (but by no means exclusively) the specific polyphenols called catechins. During the development of Benifuuki it was discovered that the tea has an extremely high catechin content and also contained several very rare catechins with special health properties. Of the major catechins C, EC and EGC of Benifuuki has an above average amount (about 0.8%, 2.0%, 3.8% in dry matter) together with the seed variety Komakage it has the highest ECG’s (7.6% ) and has the most EGCG of all teas (10.1%, upper leaves of the first harvest up to 17%!). Highest EGCG Levels in all teas! Of all catechins, EGCG in green tea is the most abundant and the most important for health benefits. Of all global teas, Benifuuki has the highest EGCG content. In a comparison of the most important Green Tea varieties Benifuuki scored 10.1% EGCG idm, followed by Tadanishiki with 9.8% and Izumi and Okumusashi with 8.7%. 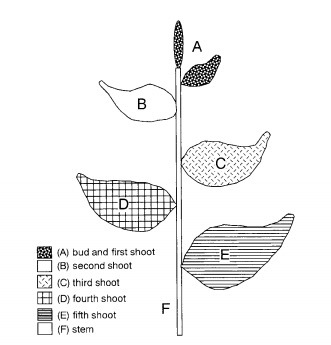 The most common tea strain, Yabukita (about 3/4 of all Japanese green teas), however, reached only 7.7% (see FIG. 2). Benifuuki tea that is made from only the buds and first leaves of the first harvest has an even greater EGCG content. Levels can reach as high as 17% in comparison to the second harvest 15% (. See 3). A special and rare group of Catechins are the so-called methylated catechins. These include above all the so-called epigallocatechin-3-O-methyl-gallate (EGCG3 “Me) and the EGCG4” Me, as well as the GCG3 “Me. By far, EGCG3 “Me has the highest levels in Benifuuki with about 1.5% and many times more than in all other types of tea (see FIG. 2). ¾’s of Japanese green tea seed strains Yabukita and Saemidori and Sayamakaori, show no EGCG3 “Me. Rarer varieties like Yamatomidoro, Ryofu or Shunmei contain up to one-third less of EGCG3 “Me in comparison to Benifuuki. A special and rare group of Catechins are the so-called methylated catechins. These include above all the so-called epigallocatechin-3-O-methyl-gallate (EGCG3 “Me) and the EGCG4” Me, as well as the GCG3 “Me. Especially the EGCG3 “Me coming in Benifuuki ago by far the most, with about 1.5% dry weight even many times more than in all other types of tea (see FIG. 2). So have belonged to about 3/4 the Japanese green tea Saatsorte Yabukita and Saemidori and Sayamakaori, on no EGCG3 “Me. Rarer varieties like Yamatomidoro, Ryofu or Shunmei own less than one-third of EGCG3 “Me versus Benifuuki. The first Benifuuki leaves are harvested at the end of April and in May. The majority found on the markets comes from either a summer crop or the autumn-winter. Catechin levels are dependend on the time of harvest and above all which leaves were used. An overall understanding arises from the findings from an EGCG3 “Me analysis done in harvesting by a Japanese tea farm, but makes no mention of the leaves used (see table below). But it could be assumed though that in the early spring harvests rather young upper leaves and in autumn harvest rather lower coarser leaves were measured. It is noteworthy that autumn values show a level of 2.6%. This is still well above the 2% of the above-mentioned research. Final processing of harvested leaves does not occur- as in normal Green Tea – immediately. Rather, the leaves are normally stored for about 3 months, thus increasing the amount of methylated catechin. The tea is fermented in the dark at low temperatures. Only at the beginning of August (for the May harvest) or at the beginning of the following year (for the autumn harvest) can the usual further processing by intensive hot steaming, rolling and pressing of the leaves be found (similar to the oolong tea). To produce Benifuuki powder all the tea leaves are then gently ground into a fine powder and packed. Accordingly it recommendable therefore to purchase Benifuuki tea from the previous year’s crop. This means, for example, in 2015, one should look to buy tea from the 2014 fall harvest. Benifuuki is totally unique and could be called the “artist” for special, methylated catechins, EGCG and other valuable bitter substances, such as in particular the hydrolyzable tannins = ellagitannins (strictinin, G-strictinin and theogallin). It is with these compounds that it deserves its reputation as an anti-allergic tea (hay fever, dermatitis, eczema, histamine reduction) and as a metabolic and liver tea. Unlike other green tea varieties, especially Sencha, Gyokuro, Shincha and Matcha, Benifuuki however contains only relatively few other important nutrients, such as Vitamins, amino acids, essential oils, Chlorophyll etc. Therefore the tea is not a substitute for the health benefits of other teas, but rather one that should be viewed as a specialist addition. Due to its particular catechins and tannins Benifuuki tea has a significant anti-allergic effect. This applies to many different allergic reactions and diseases, in particular hay fever, allergic asthma, hives and eczema. It is best used in combination as a powder and tea in the form of a “cure”. Various aspects have to be observed in order to achieve a successful outcome. All details can be found in the article on hay fever and allergies. One largely unexplored aspect of Benifuuki is its effect on the metabolism and subsequent main organs. In my opinion and experience, a regular intake of the special catechins & bitter substances contained in Benifuuki is extremely conducive for the metabolism in general and in particular for the liver, gall bladder, spleen and pancreas. Although it has no scientific basis, I am of the opinion that there is hardly a more positive agent for maintaining the health of these organs, and which also appears to aid in the healing of many metabolic diseases. This includes Hepatogenic forms of atherosclerosis and coronary disease, many forms of migraine and diabetes type II. Furthermore Benifuuki, alongside turmeric, supports the often underestimated spleen and is one of the best means of splenic support. This is relevant in a variety of forms of energy weakness, lethargy and constant fatigue. The specific advantages of Benifuuki can only really be felt if consumed in the right way. In Japan Benifuuki is taken as a powder and in combination with tea. The valuable catechins and bitter substances are relatively poorly soluble in water. Alongside a higher infusion temperature, when treating allergies therefore advantageous to use not only loose tea as an infusion, but finely ground tea powder as well. This allows one to take in a multitude of important ingredients parallel to taking the tea. One study has shown that it is advantageous to have a particularily fine powder with a particle size of about 2 microns (see FIG. 4). The powder should, however, also be smaller or finer than this as to cause any nano-specific toxicological consequences. In order to improve metabolism it is important to take the tea in powder form, but in unheated mixed shakes. The whole tea leaf is ingested in powder form and unlike an infusion can through digestion win other ingredients for the body. I recommend for this purpose to use Benifuuki powder and not the unground tea leaves. Best suited for this is the Benifuuki obtained from the lower leaves and later harvests because the methylated catechin levels are highest here. However loose tea leaves also have some advantages over the powder. After a relatively short period of time, the powder becomes toxic after preparation and must be drunk quickly. In contrast, the tea allows for a longer shelf life and can be stored in the refrigerator for a few days easily. Above all, the tea is a perfect aid to take on the go when combatting allergies and hay fever attacks in rapid immediate alleviation. Depending on the application it is advisable to drink tea either in the conventional manner as an infusion (anti-allergic), or unheated and mixed as a shake (metabolic conducive). In both cases, the infusion of tea and the powder should be used. After opening the package the Benifuuki powder should be as well sealed in the refrigerator while the standard “leaf” tea should be stored in a suitable container not in the refrigerator. 1) For ten days take every morning add a heaped teaspoon of Benifuuki powder into a green smoothie or shake and mix for 20 seconds in the mixer. 2)The smoothie or the powder should be served as a cold drink. 3) We recommend fresh still water, rice milk or almond milk. 4) The rate of ingredients absorption is increased when more healthy foods are added to the shake. We recommend, for example, an entire organic apple, a handful of high-quality almonds, daily changing seeds (flaxseed golden, white or black sesame seeds, chia seeds, hemp seeds), baby spinach, lamb’s lettuce or other green leaves. The whole thing tastes extremely tasty and fresh. 5) The smoothie should look clearly liquid not lumpy or resembling a porridge, so add enough liquid. 6) The mixer with the highest number of revolutions comes from Vitamix, JTC Omniblend and Revoblend. From about 30,000 rev / min., the cells of the plants are broken and made more accessible. This will not affect the Benifuuki powder. 7) The smoothies are best taken in the morning to kick start your metabolic system. For other uses of Green Tea see the article on Preparation against disease and prevention. As with all Green Teas, when taking it in conjunction with other medicine it is vital to consult your treating physician or medical practitioner as it can affect the workings of several drugs. Pregnant women, those breastfeeding and infants should not take Benifuuki. Please refer to the article of side effects and risks. In addition, it should be noted that the Benifuuki powder made from the entire tea leaf, should be drunk immediately after preparation with hot water. If it is allowed to stand still for some time chlorophyll degrades allowing for the build-up of photoactive pheophorbide. This is toxic above a certain amount and can cause nausea and contributes to photodermatosis (certain skin diseases in sunlight). The same problem occurs if you do not remove the tea leaves in the preparation of tea, but leave them in the tea. The ingestion of large amounts of catechins, such as in the case with Benifuuki powder, should not be done on an empty stomach, otherwise the liver could be overburdened. Allow for an interval of about 30 minutes following a meal. Benifuuki powder should not be consumed daily throughout the year, but in special “cure” periods. The same applies to the tea when it is brewed at a higher temperature and steeping time of 60 ° C and 2 minutes. Check the above recommended intake suggestions. The consumption of tea or Benifuuki powder should always be accompanied by a sufficiently large amount of fresh and still water. Maeda-Yamamoto, Mari, et al, 2004, Food Sci Tech Res 10(2), S. 186-190. Maeda-Yamamoto, Mari; Sano, Mitsuaki, et al. : “The Change of Epigallocatechin-3-O-(3-O-methyl) gallate Content in Tea of Different Varieties, Tea Seasons of Crop and Processing Method”, Nippon Shokuhin Kagaku Kogaku Kaishi, Vol. 48 (2001) No. 1, 2001, S. 64-68. Maeda-Yamamoto, Mari; Nagai, Hiroshi; et al. : „Changes in Epigallocatechin-3-0- (3-0-methyl) Gallate and Strictinin Contents of Tea (Camellia sinensis L.) Cultivar ‘Benifuki’ in Various Degrees of Maturity and Leaf Order“, Food Sci. Technol. Res., 10 (2), 2004, S. 186-190. Maeda-Yamamoto, Mari; Ema, K.; et al. 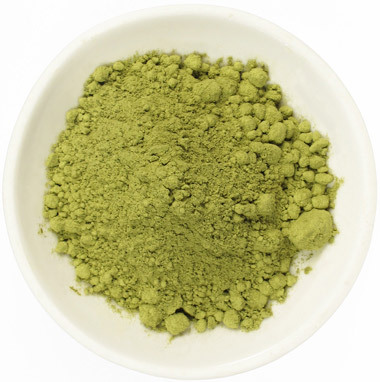 : „Effect of green tea powder (Camellia sinensis L. cv. Benifuuki) particle size on O-methylated EGCG absorption in rats; The Kakegawa Study.“, Cytotechnology, 2011 Mar, 63(2), S. 171-179.